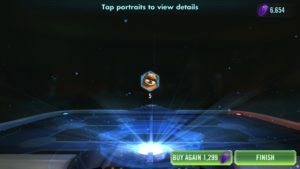 One of our favorite article segments here at Gaming-fans.com is the “Should I Buy” SWGoH series of articles where we have reviewed everything from the controversial Citadel Packs to the recent Mod Set Packs all while strengthening the rosters of our staff members. While the temptation to buy more is there, the gap from 5 stars to 6 stars is a big one, and 10-15k crystals is a lot to invest into a character used only sparingly. What are your thoughts and experiences? Leave your comments below or hit us up @GamingFansDFN on Twitter. 3 Comments on "SWGoH: Should I Buy the Forest Ambush Pack?" I feel we, as a community, need a much larger sample size then 4 to get an accurate representation of an average pack. It is my suggestion that you purchase more of these packs with those 6600 crystals. TLDR: Go big or go home! Thanks for the feedback lol!